I don't have a crystal ball. I did not know, for example, that Donald Trump would be elected President, despite coming 2nd in the popular vote. But the Macroeconomy in the short and medium term is not very complicated. It's unpredictable to be sure, but the reasons that it is unpredictable are themselves reasonably straightforward and uncomplicated. The Macroeconomy is the sum total impact of hundreds of substantially relevant decisions made by millions of people, and sometimes we can't predict what millions of people are going to do in hundreds of different, important, ways. Just as it does every month one week after it announces its estimates of unemployment and related statistics, last Friday the Bureau of Labor Statistics reported its evaluation of the employment situation in the individual states and regions. As has been the case for much of the past four years, there is good news and bad in the numbers. Not you at Voices on the Square. You know who. Well it seems this continuing debacle every 3 months has ceased, for now. However, I really can't get over this pathetic celebration over the really low bar involved with regard to avoiding what I call a political default on the public debt. This is the same embarrassing type of celebration that ensued in 2011. We need to get real. Despite the government being opened up again, there's nothing to celebrate. We've already lost. After all, the debt ceiling was a precious gift Obama bestowed onto John Boehner in the 2010 tax deal as he put his full faith in Speaker John Boehner hands, as he took the full faith and credit of the United States hostage. Of course, it was a deal struck between both of them to put who they called the "extremists" of both their parties in check, for a grand bargain like in 1983 when Tip O'Neil and Ronald Reagan cut social security. President Obama and Speaker Boehner weren't fooling everyone, though. Just those involved in their hyper deluded, hyper partisan, claptrap. To some of us, this was entirely predictable and preventable. Now people are suffering because some people, blinded by their hyper-loyal partisan illusions, couldn't or didn't want to see what was there. Maybe their lack of sight reveals they don't really care? It doesn't matter though. This will continue to be what we go through when some of this crap continues again in 4 months in February, regardless. This austerity government will reopen at sequester levels of funding; a sequester I predicted would be born out by the stupid Super Committee from the super austerity Budget Control Act of 2011, which I saw was inevitable since the 2010 tax deal led to the first, now ongoing, debt ceiling debacle; a miniature crisis to crisis government with no plans to invest in its citizens' future. Anything else is possible though, from government shutdowns over the false prospect of defunding Obamacare, to any austerian Senator or Congressman using the threat of default for whatever demands they want. We, the so called professional left as the White House derisively called us, warned about this. Anyone who denied this can either apologize now or forever restrain from speaking about matters regarding politics, civics, political deals, and the debt ceiling. We told all of you back in 2011 around this same time when that debacle was coming to its end — until this one and the next one 4 months down the line — that this was no victory. Now, I was addressing a proposal by Matt Lavine at Bloomberg, and as a result, the explanation was not necessarily the simplest possible explanation. So here, I'm looking at just my proposed 10 year 100% coupon note, and going through the nuts and bolts. Just as the GOP Shutdown was getting underway, 2 October, Matt Levine at Bloomberg was calling on the administration to Mint the Premium Bonds!. The creepy trick that has swept the nation* is the platinum coin option, in which Treasury mints a $1 trillion platinum coin, deposits it at the Fed, and suddenly has an extra $1 trillion of money to spend without incurring any debt (and, thus, without breaching the debt ceiling). This is a good trick as tricks go, and it's been extensively advocated by Josh Barro, Paul Krugman, Matt Yglesias, Joe Weisenthal, basically every economics blogger really. I am unaware of any good arguments that the platinum coin wouldn't work, but it does have the problem that it is really really really really obviously a trick. I mean, it's a trillion dollar coin, come on. So it's sort of sub-optimal symbolically, and would make people really mad. It's a crisis-enhancer, although with the benefit of avoiding immediate default. Instead of just rolling those Treasuries -- paying them off at 100 cents on the dollar by issuing new Treasuries at 100 cents on the dollar -- it should pay them off at 100 cents on the dollar by issuing new Treasuries at 275 cents on the dollar and using the extra money to pay its bills. The 10-year yield today is around 2.6 percent, so you could sell a 10-year with a 23 percent coupon for 275 cents on the dollar. **** The 30-year is about 3.9 percent, so a 14 percent coupon should get you there. Etc. Math here. 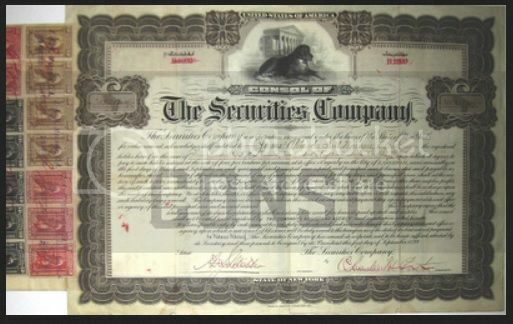 Now, given my previous writing on Fixed Interest Payment Consol Bonds ... would this work too? Yes, in a functional sense, of course it would. Its a similar, though not identical, answer, but it goes through the same loophole. Premium bonds are, by law, counted on their face value. So any bond with a face value substantially below its issue price that is used to roll over maturing long term bonds would "roll back" the debt ceiling count. Disclaimer: This forum rules like the moderators and contributors. And here we are again! It started in 2010. The Bush tax cuts were about to expire. There was leverage to negotiate a debt ceiling raise or to just let them expire. How do I know there was leverage? I know Republicans like tax cuts for the rich, and there was a deal for the purpose of extending them with Republican votes. It passed with those Republican votes, which led to this whole thing because there was no debt ceiling raise included. Maybe others are unaware of this? I don't know. It doesn't matter though; the uninformed shouldn't dictate fantasy as reality in a reality based community. This is the actual reality and why we are worried about a global financial calamity with regard to a possible political default on the public debt, which is a choice and otherwise impossible for a sovereign currency issuer. You know, we on the left knew what this would lead to. You don't trust John Boehner with the full faith in credit of the United States unless one is completely clueless or an economic nihilist. The resulting signs we are starting to see of a financial panic in response to the prospects of a default on top of the ongoing depression, the jobs crisis, the continuing climate and ecological crisis all converging into one huge Epochal crisis, point to a special kind of disdain for the public that all our elected leaders have for us. I mean, we have enough problems without adding to them through a self induced global financial then economic crisis caused by the President's pursuit of a deficit terrorist grand bargain whether through incompetence or outright corruption. Economic Populist: Will the White House Accept A Government Default, When It Doesn't Have To? The political theory here is clear: Obama is trying to marshal public opinion against the GOP. If enough Republicans are getting angry calls from their constituents and seeing polls that look disastrous for their party, they'll find a way to back down. But it can backfire badly. Every second Obama stood at that podium made it a bit harder for the Republican Party to retreat. The more he repeats that this is their shutdown and they need to end it, the more their party suffers if they can't find a way to prove the president wrong. Obama's efforts to move public opinion toward him also moves Republican opinion against him. ... the White House is still pursuing a strategy that makes it harder for Boehner and the Republicans to back down. Their gamble is that the power of public opinion will overwhelm the power of presidential polarization. And if the Republican Party loses totally -- loses in a way where they can't tell themselves it was a win -- that'll be the end of these tactics. The problem with this kind of brinksmanship tactics is that they may lead to an economic collapse ~ and given Europe's ongoing problems with the scourge of harsh austerity policies in the context of a monetary system built broken, that might be a worldwide economic collapse. Now, the threat of the economic collapse does not come from the Government Shutdown, it comes from the risk of default on the government debt, due to the US Treasury running out of juggling options before it needs to sell a new issue of Treasury bonds to avoid a default on payment of government obligations. And the puzzling point is that the Administration insists that the risk of default is real, even though the Administration itself can take the threat of default off the table. Read more about Economic Populist: Will the White House Accept A Government Default, When It Doesn't Have To? The debt ceiling was enacted in 1917 for one purpose: to fool the rubes back home. Just as Congress started running up debts to pay for the war, they voted in the ceiling to pretend otherwise. And that is why whenever reached, it must be raised. In the modern world, when the Treasury writes you a check, your bank credits your account. That's how money creation works. The Treasury then issues bonds to absorb that money. Banks like this because bonds pay more interest than reserves. But there is nothing economically necessary about the bonds. This is obvious since the Federal Reserve buys back many of them, leaving the public with the cash it would have had in the first place. Under present law, Jack Lew could even pay off public debt held by the Federal Reserve by issuing a high-value, legal-tender coin – so long as the coin happened to be platinum. A coin is not debt, so that simple exchange would retire the Fed's debt holdings and lower the total public debt below any given ceiling. James Galbraith admits that this is a gimmick ... but then, so is the debt ceiling, so it would be one gimmick fixing the fact that one faction of one political party is holding the faith and credit of the US government hostage over what was originally and has always been since a gimmick. Effective regulation, and on that note, it is a positive thing that the Summers of our discontent can finally be laid to rest. After all the damage Larry Summers has caused in being one of the architects of this crisis, from boxing in Brooksley Born and ignoring her warnings with regard to derivatives which brought down Long Term Capital Management during the Clinton administration, to his sexism among everything else. He has now thankfully taken himself out consideration for the job. It's a good thing he did. Rather than fighting for something or someone that helps people suffering from this economic crisis, President Obama strongly recommended and fought for Larry Summers to be Chairman of the Federal Reserve, a guy who lost a billion dollars as President of Harvard betting on interest rates. Yeah, let that sink in for awhile. It's really not OK. This is why making excuses for everything the President does, as too many Democrats do without thinking of the damage, is dangerous, immoral, and unprincipled. Now it looks like the front runner to replace Ben Bernanke as Chairman of the Federal Reserve is going to be Vice Chairwoman of the Board of Governors of the Federal Reserve System and once President and Chief Executive Officer of the Federal Reserve Bank of San Francisco, Janet Yellin. Unlike Larry Summers, she at least saw the crisis coming as early as 2005. I have to admit, I was surprised to be notified that Historian Rick Perlstein of Nixonland fame, devoted an entire column in the Nation to two tweets replying to him; one from myself and one from another commentator on twitter. It's also surprising, because I have been a fan of some of what Perlstein has written in the past, and I have cited him before. However, after this, I and certainly a lot of other people surprised at this lack of professionalism from an established writer, won't do it again. After all, one doesn't normally read columns by established historians devoting entire pieces to complaints about tweets they received or people on twitter. Especially, one tweet that was merely a question about a widely cited article at CNET. I certainly don't know why Rick Perlstein was so offended by that to devote an entire piece in the Nation to mine and one other tweet he received. I have to wonder if he realizes how unprofessional he looks by doing so. The excellent responses to Perlstein's shoddy piece in the comments section certainly speak to that. I think we can detect here an accusatory tone, especially given the way the tweeter, “therealpriceman,” fawns over Glenn Greenwald generally. (Though you can never be sure on the Internet, and besides, why do people pursue political arguments on Twitter anyway? I’ll never understand how, for instance, “When u talk gun violence lk in mirror PA here we cling to guns-apologz to PRES O”—another tweet directed my way, apparently somehow meant to respond to this—could possibly contribute anything useful to our common political life.) I detect in this message: even the NSA says you’re wrong about Glenn Greenwald, so when are you going to apologize? And if I’m reading right, that’s some really smelly stupidity. Because the whole point of my original post was that there was plenty Greenwald had “nailed dead to rights” in his reporting. What I had in mind when I wrote that (I should have specified this, I think) was the stuff on Verizon turning over metadata to the NSA. And yet what therealpriceman links to is an article suggesting something that Greenwald has not (yet?) claimed, and which still remains controversial and undetermined: that the NSA has acknowledged that it does not need court authorization to listen to domestic phone calls, a claim sourced to Representative Jerrold Nadler, which Nadler based on a classified briefing he and other Congressmen received, but which it has since been established Nadler probably just misunderstood. And given that perspective, I would love to know why Glenn Greenwald thinks the establishment cannot do to him, a relative flyspeck in the grand scheme of things, what they did to Dan Rather, a towering giant of Washington reporting going back to Watergate. Which is: consign him to the outer darkness, where the only people who care about what he has to say are the likes of my good friends @therealpriceman and @runtodaylight. He starts out by assuring the audience that he has thick skin, but then goes on to prove just how thin it really is. By whining for 13 paragraphs or so about criticism, criticism from a couple of tweets he received days ago, it really doesn't show the maturity he was initially hoping to espouse. So since I apparently hurt his fee fees so bad, in 140 characters or less, I'll go ahead and put his suppositions to the test.